Forklift Classes: How Well Do You Know Forklifts? How Well Do You Know Forklifts? Have you ever driven a forklift? It can be fun but unnerving. Some of those things turn on a dime and zip around corners faster than you’d think. In our last blog, we said that people underestimate forklifts, and it’s not only true, it’s one of the most dangerous things about the little vehicles. All it takes is whipping too fast around a shelf or trying to lift a pallet that’s unbalanced or too heavy, and someone gets injured, never to be the same. Long story short: don’t underestimate forklifts. Get your team trained by the Forklift Training team. Not only are we OSHA-certified, we are nerdy about forklifts, and we can offer essential insights. In today’s blog, we are going to talk about our favorite vehicle … you can probably guess what it is. Forklifts: How Are They Powered? If you thought forklifts were limited to the electric jitneys buzzing around warehouses, you were wrong! As it turns out, many objects need to be lifted off the ground, and there are forklifts that are closer to heavy construction equipment than pallet shufflers. This is good news, because it means every operation has options they didn’t have a hundred years ago. Injuries or fatalities due to forklifts are reported almost daily. Sometimes, the forklift is the direct injury source, but it can also be the secondary source. Live forklifts put both operators and pedestrians at risk. At Forklift Training, we want to empower companies to have spotless injury records. A profound number of life-changing injuries can be prevented by good training. If you are an employer, you’re required by OSHA to train your employees. You will want our help, because it isn’t a simple process. 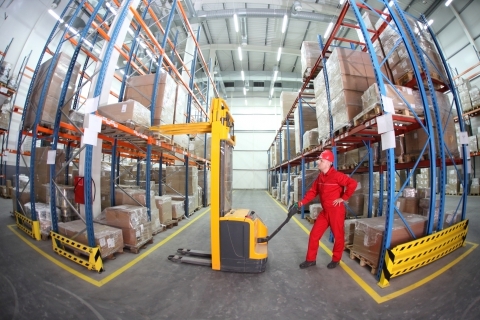 Many factors need to be considered, including the type of forklift, the workspace, and the environment’s unique hazards. Basically, you need training tailored to your specific operation. If you fail to provide this, accidents will happen. Pre-Operation – is this forklift safe to run? Traveling and Maneuvering – can you run the forklift safely? Workplace Considerations – what ramps, aisles, loading docks, and pedestrians will I deal with? At Forklift Training, we believe that zero injuries are possible and that your employees deserve the effort we put into our training programs. Get Forklift Training in your corner and move your operation forward with confidence!